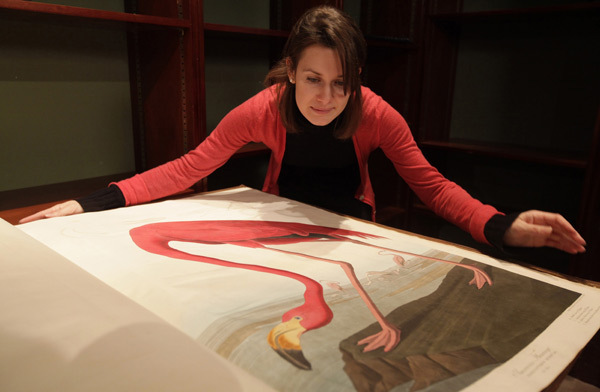 Naturalist John James Audubon's "Birds of America" sells for $11.5 million dollars, making it the worlds most expensive book. Audubon was part naturalist, part artist, and possessed a rare, almost unequaled ability to observe, catalog and paint the birds he observed in the wild. Experts say his book, originally published in 1827, is unmatched in its beauty and also of considerable scientific value, justifying its stratospheric cost. Check out the free electronic version of the book here. I wonder how many birds used to inhabit California just over 200 years ago before most of the rampant development and serious habitat conversion begun to take place. Surely places like the Oxnard plain and California's great Central Valley were large marshes and estuaries that could have housed thousands more flying fauna than the meager remnants of those grand ecological wonders turned to commercial agricultural mud flats can provide for today.